They all thought they did a masterful job of keeping their secrets close to their chest. These stupid fools thought they were the high court of this kingdom, but they had no clue who was really pulling the strings. You might wonder to yourself, who would be that heartless to make them backstab their friends, expose other’s secrets, and lose their morals? You don’t need to know who I am, but you better remember my name, The Marked Queen. Danielle, Andrew, Delilah, Aman, and Jasmine all are now faced with a mysterious villain whose one goal is to ruin each of their lives. They must protect their secrets at all cost, or they’ll be the next victim on Marked Day. 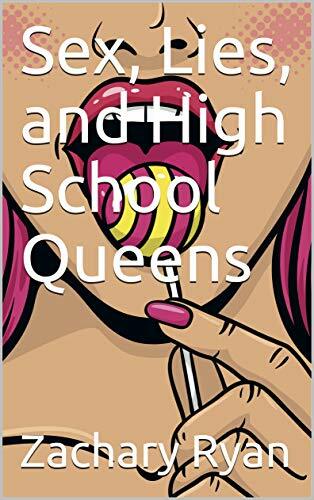 They know what’s at stake, and they’ll stop at nothing to continue being: the rich spoiled girl, the normal teenager, the girl who isn’t banging the principle, the straight vlogger, and the girl who isn’t her dad’s punching bag. What happens when The Marked Queen changes up the game just in time for prom? Will each of our favorite puppets survive? Or are they willing to backstab each other just to keep up their personas? The only thing lost at this prom wasn’t going to be their virginity.